Never have to make a last minute trip to the teacher store for preprinted punch cards again! These punch cards are simple to use and will never run out as you will always have the digital file on hand! There are 7 different color schemes in this file, including one b&w for those who are unable to print in color. Simply print on cardstock (or paper and laminate for durability) and cut apart. Students write their names on the cards, and you punch as desired to track good behavior, returned homework, etc. 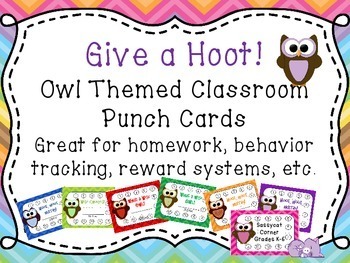 Use these punch cards with your classroom management system. 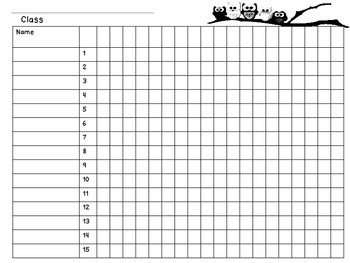 Give each student one punch card according to the reason you have set forth – daily behavior, clean desks/lockers, homework turned in, etc. When the student reaches 12 punches, he/she earns a reward of your choice, prize box, name in drawing, free time, etc. 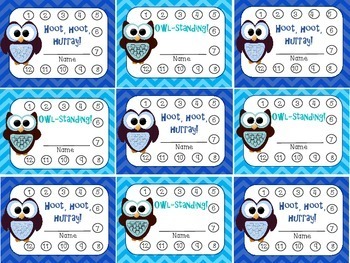 Find other Owl Themed Classroom Decor here on Sassycat Corner.